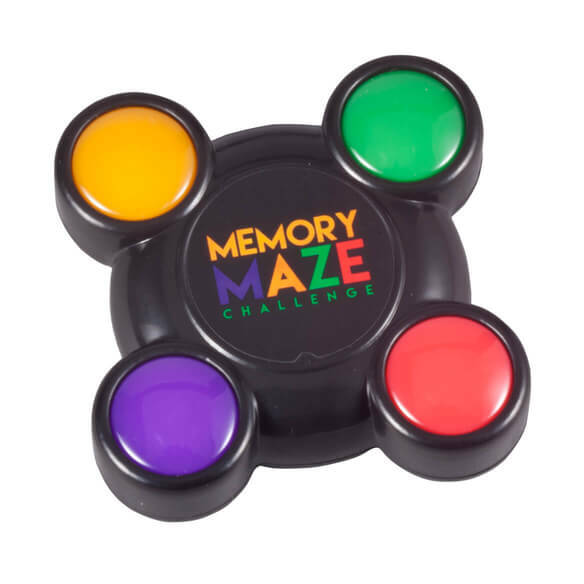 Small enough to carry along in your pocket or purse, this Memory Maze game lets you test your memory skills and enjoy the fun at home, the doctor’s waiting room, while traveling and more. The hand-held game features light-flashing sequences and sounds, which change each time you play. Your challenge is to remember and repeat the ever-increasing random sequence to win (which isn’t easy!). Features on/off switch and includes 3 AG13 batteries for instant fun on the go! 2 1/2"sq. SMALL PARTS. Not for < 3 yrs. 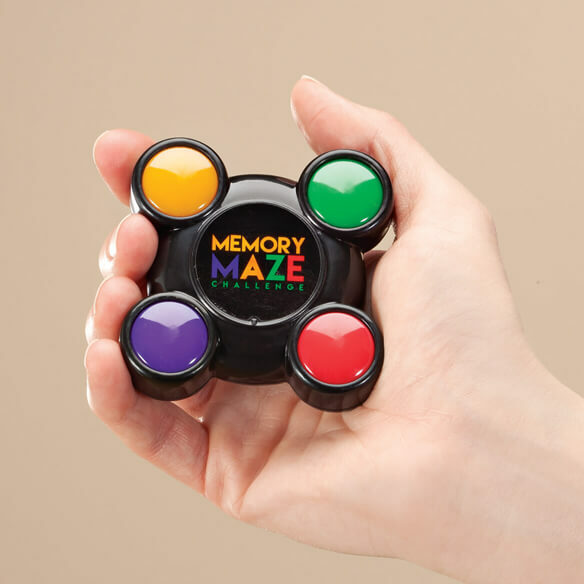 It's a great memory toy! It's fun and challenging. It's a fun game that will keep my mind and memory sharp. To help my husband. Reasonable price. I am a senior and it's a good idea to keep up my memory. Reminds me of a game I had growing up. We are in our mid-80's...trying to help memory. To improve my memory. I used to have the big one. Like to try before I offer it to elderly people I work with for ease of use, size, and does it work to keep the mind and hands busy.